Custom Design & Fabrication of Corrugated Boxes / Cardboard Boxes / Shipping Boxes / Die Cut Boxes & Packaging Materials. Excellent Quality at Competitive Pricing. Specializing in Protective Packaging Materials; Cardboard Boxes / Corrugated Boxes (Slotted or Die Cut, Printed) Singlewall, Doublewall, Triplewall, All Board Grades. 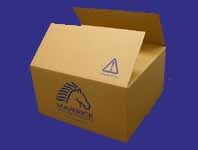 Small Mailer Cartons to Bulk Containers. Fanfold Corrugated. Bulk Packaging, Palletizing & Unitizing Products. Folding Cartons (Flat-Mailers to Reverse Tuck Boxes) Complete Graphic Capabilities. Cushioning, Bubble pack wrapping material, Edge protectors, Corrugated Buildups, Box Partitions, Foam Products (Molded, Wire Cut, Die Cut, or Convoluted.) Thermoformed Plastic Packaging (Blisters, Clamshells, Trays) Molded Plastic Packaging Products. Plastic Film Packaging, Shrink Film, Shrink Wrap & Stretch Wrap. Plastic Bags / Poly Bags (Flat Bags, Gusseted Bags, Shrink Bags, Bags on Rolls.) Poly Tubing & Poly Sheeting on rolls. Bubble Products or Foam (Rolls, Pouches, Envelope Mailers) (Cohesive or Adhesive) Tape Products, (Pressure Sensitive, Plastic, Paper, Reinforced.) Kraft Paper, Butcher Paper, Freezer Paper, Bogus Kraft, Poly Coated Kraft, Indented Kraft Paper, Newsprint (Rolls or Sheets) & single-face corrugated. Paper Tubes, Mailing Tubes, Composite Cans, Plastic Caulking Tubes (Cartridges & Components). Molded Pulp Packaging Products, Stock Packaging & Shipping Supplies. When you need cardboard boxes we have in-stock several hundred sizes of corrugated boxes / shipping boxes / cardboard boxes, mailers, folding cartons, plastic bags & packaging materials.